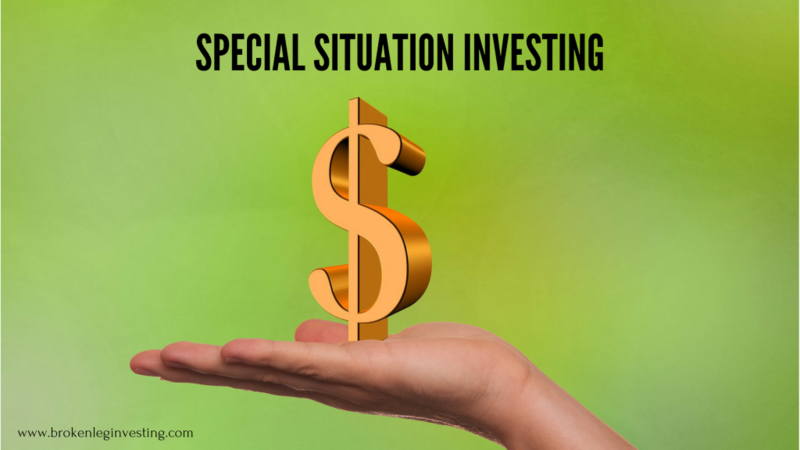 This article on special situation investing was written by Jack Lyons. Jack has worked as an equity analyst and auditor in Dublin, Ireland. He focuses on applying a quantitative net net and Acquirer's Multiple strategy in his personal account. Article image (Creative Commons) by Geralt, edited by Broken Leg Investing. Are you a fan of free gifts? If so, then the financial markets are the place for you. Savvy value investors can benefit from all manner of free gifts, such as merger arbitrage, thrift conversions, and rights issues. However, as all good value investors know, one must learn how and where to find these gifts. 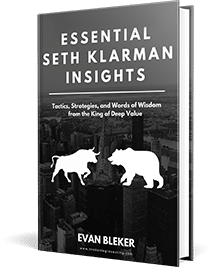 As it happens, Seth Klarman is a master of digging for and locating these gifts in the form of special situation investing — and his wisdom might just help you learn to do it on your own. Financial markets, by their very nature, are highly inefficient structures. We know this because humans control them! What this means, however, is that there are pockets of the market all around that are misunderstood and misvalued. This is so because people avoid what they don’t understand. This provides the value investor with opportunities — often in the form of special situation investing. The key point of what Klarman wrote is that there are many applicable strategies when it comes to value investing. Often, it is easy for value investors to presume that there are only one or two ways of succeeding with the strategy. However, this is not the case. In addition to net nets and acquirer’s multiple securities, there are many techniques that can be described as value-oriented — for example, liquidations, merger arbitrage, rights issues, and thrift conversions. These strategies, commonly known as special situation investing strategies, have one thing in common with more prototypical value strategies like net nets or acquirer’s multiple securities: they are all obscure investment techniques. While they are all fundamentally different and behave in very different ways, all of these strategies provide the opportunity for outsized gains compared to the broader market. And just like Graham’s net nets and Carlisle’s acquirer’s multiple — and maybe even to a greater degree — all of these opportunities are extremely specialized areas. The more specialized and obscure the area, the greater the probability that misvaluations are taking place within it. While obscurity and unpopularity make up one half of what makes a good special situation investing strategy, the other half is made up of its catalyst. In science, a catalyst is something that speeds up a chemical reaction. In special situation investing, a catalyst is what causes a value realization. Some special situation investing strategies have natural catalysts built in, while others do not. While the lack of a natural catalyst in no way precludes a security from being a good investment, the presence of one certainly increases its margin of safety. The remainder of this article, as well as those in the coming weeks, will discuss some of the best special situation investment strategies out there. First on the list: liquidations. Before delving into liquidations further, it is important to note that this strategy is very different to that applied to net net stocks — while net nets all have active operations, liquidations are companies that have already entered the legal liquidation process. When a company enters the liquidation process, it agrees to sell all of its assets immediately, for the best price available. While a company that enters Chapter 7 bankruptcy under the US code Bankruptcy does not necessarily represent any type of investment opportunity, often it can ultimately work out that way. A liquidation can play out in a number of ways. One of those ways is for the company to transfer its assets into a unit trust, which itself becomes responsible for the asset liquidation. These trusts often become listed on a public stock exchange, from where their shares (or units) can be bought and sold. The structure of such a situation often provides an excellent opportunity to an alert special situation investing enthusiast. As Klarman teaches, corporate liquidations, because of the fact they are often misunderstood, provide an excellent opportunity for value. In addition to this, because the liquidation process of a company is a finite event, a natural catalyst also exists. What truly makes a value and special situation investing opportunity so is that they are all the “antithesis.” In order to outperform the market, you must zig while everyone else zags. Therefore, in order to beat the market, you must do what nobody else is doing — you must invest in what nobody else is willing to invest in. Liquidations fit this bill perfectly. Of course, this all sounds great. But, if we don’t know exactly how to apply a “zig,” then we won’t be able to execute one while everyone else is “zagging.” In fact, we won’t even know that the “zig” exists in the first place. 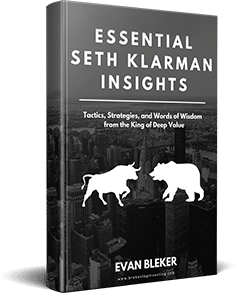 Fortunately, Klarman is not in the business of letting his readers down, and he provides an example in his book to demonstrate just how the strategy works. The example that Klarman uses is that of the “City Investing Liquidating Trust.” The trust was formed following the liquidation of a conglomerate named “City Investing Company.” The assets that could not be sold during the chapter 7 liquidation were transferred to the Trust, from where they would be ultimately sold. What happened in this case was that, following the formation of the trust, its units became publicly tradable on the stock exchange. However, because of the fact that investors were unwilling to take on this special situation investing opportunity — both because the mix of assets was tedious to value, and the fact that they simply weren’t willing to entertain the idea of investing in a liquidation situation — the units traded at a value significantly below even a conservative measure of liquidation value. Anyone who was willing to invest in this “high risk” situation would have treated themselves to what turned out to be a relatively risk-free profit. The key takeaway from this story (and others like it) is that the only way to significantly outperform the average investor (i.e., the market) is to do what they do not (i.e., invest in a contrarian way). By applying strategies that allow you to zig while others zag, and by seeking securities with an unpopular and powerful antithesis, you can set yourself up for success. Special situation investing strategies work, and it might be time that you add them to your portfolio. This entry was posted in Deep Value Strategies and tagged Seth Klarman. Bookmark the permalink.